In the last of this series, James Franco talks about his acting idol, River Phoenix, and why making My Own Private River, a film featuring unseen footage of River Phoenix from My Own Private Idaho, was worth more than gold. Catch up with my previous James Franco posts on his education and public image, going crazy in American soap opera General Hospital, his early career, and his recent art show inspired by James Dean and Rebel Without a Cause. 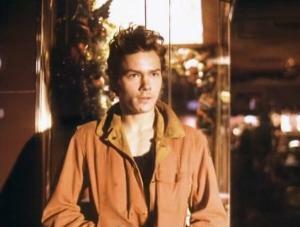 Since I was a teenager and watched My Own Private Idaho, I’ve been a huge River Phoenix fan. He’s one of my favourite actors. 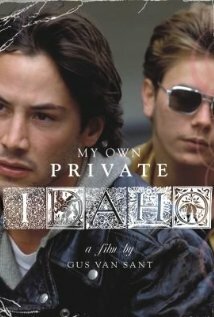 Years later when I became an actor, I got to work with the director of My Own Private Idaho, Gus Van Sant. All I would ask Gus about were stories about that movie, making that movie, and River Phoenix. That was about 80% of our conversation. When Milk, the film that Gus and I did together, was being released we did a bunch of premieres. Gus wanted to do one in Portland where he’s from, and none of the actors wanted to go as they were all premiered out. So, Gus said to me that if I went he’d give me a tour of all the locations where they shot My Own Private Idaho in Portland. So, I went and we spent a great day going to the locations. At the end of the day, Gus said, ‘you know I kept all the dailies of that movie.’ He had all the raw material. It was shot in 1990 so it was shot on film, so he had hundreds of these film rolls in storage. It sounded to me like he had a treasure chest. To me that was worth more than gold. I said, ‘we have to watch it, we have to watch everything.’ And it was 25 to 30 hours of stuff! Two months later we made a special trip back and spent two days watching as much as we could. It’d never been seen by anyone except Gus and the film’s editor. When Gus and I were sitting there watching the stuff, he said, ‘it’s so weird doing this, this is the sort of process I go through when I’m ready to cut a new film. It makes me want to recut this.’ And we talked about how he made and edited movies differently back then compared to now… he uses much longer takes and fewer cuts. I took that information and went to Gucci and asked them if they’d sponsor the project and they did. We got it digitized and it didn’t end up costing that much. Then I asked Gus, very humbly, if I could do my own version of it and if he didn’t like it I would never show it to anyone. He said ok, but I think he said it thinking, ‘I may have to tell James I don’t like it.’ But he did like it and we ended up showing it in LA and New York and the Munich Film Festival. The moment Gus gave it to me and I had it in my computer to edit was unlike any experience I’ve ever had because the movie had been so important to me, it was almost like having the fabric of my childhood there to work with. But it’s a tricky piece as the company, New Line, who did the original My Own Private Idaho don’t want a version that’s gonna compete with their sales, so it’s hard to make a copy for mass distribution. 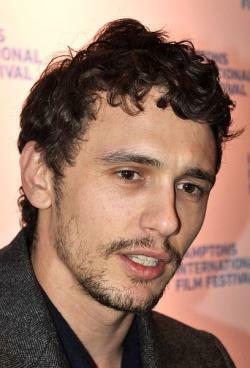 To read what Franco says about education and his public image, click here. For his stint on American soap General Hospital, click here. For his work on the movie Deuces Wild with actor Brad Renfro, click here. For his art work inspired by Rebel Without a Cause star James Dean, click here.